Accreditation Commission for Health Care (ACHC) today announced a newly formed partnership with the Connecticut Association for Healthcare at Home. This agreement allows association members to receive special pricing on ACHC’s Home Health, Hospice, and Private Duty Accreditation services, as well as discounts on Accreditation University (AU) educational resources that help prepare them for ACHC Accreditation. The Connecticut Association for Healthcare at Home is the industry champion for quality, cost-effective home health, hospice, and community-based solutions. It leads the advancement of home health and hospice care by providing Connecticut residents with patient-centered, quality-driven, community-based care in the comfort of their own homes. 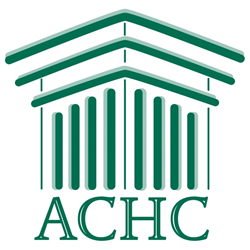 ACHC is a non-profit accreditation organization that has stood as a symbol of quality and excellence since 1986. ACHC offers nationally recognized accreditation services for home health, hospice, and private duty agencies. The organization has CMS Deeming Authority for Home Health, Hospice, and DMEPOS and a Quality Management System that is certified to ISO 9001:2008. ACHC’s consultative approach to accreditation is designed to improve the quality of patient care while enhancing business efficiencies through service-specific standards and industry-based best practices. Throughout the entire accreditation process, ACHC is dedicated to delivering the best possible experience. For more information on ACHC’s Accreditation programs, or to download ACHC Accreditation Standards, please visit http://www.achc.org or contact customerservice(at)achc(dot)org or 855-937-2242.